Dreamt about these guys a few nights ago, so all I know about them is what you see here. 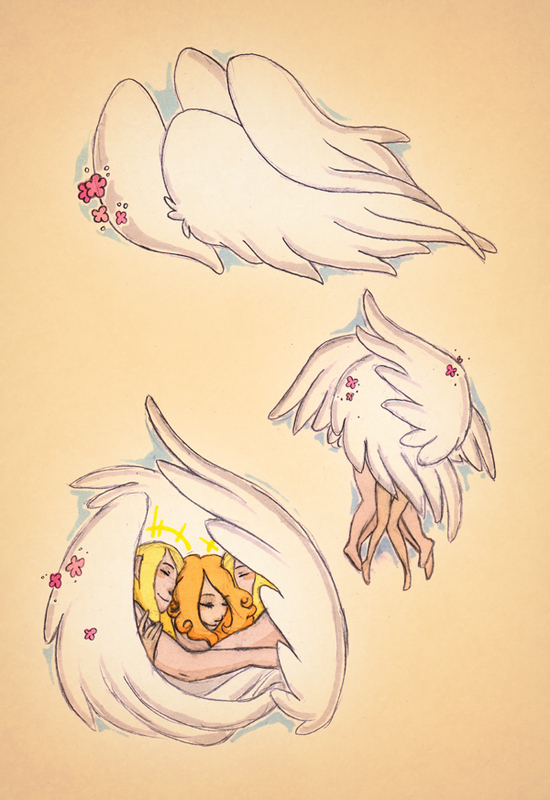 They remind me of Seraphim. They are beautiful by the way! Lot less terrible than some dream i had last night. Aww, I like it those random dreams are so interesting. their hearts as pure as their six white wings. but, by their union, their true love sings. and sings of the fire of happiness. the hall mercy builds, nothing less. a unity from love, made out of three parts. Hahaha It's hard to make heads or tails of the wings in the second picture. The legs would be pretty much what be all you would see if you really saw angels hugging. Sweet, yet funny!